BOOK NOW AND ENJOY OUR SUMMER OFFERS. This summer choose your dates and enjoy our special discounts! ENJOY THE BEAUTY OF THE ANCIENT TEMPLE OF HATSHEPSUT FROM THE AIR! Considered one of the “incomparable monuments of ancient Egypt”, the Mortuary Temple of Queen Hatshepsut is dedicated to the sun god Amon-Ra and is a real architectural jewel. There is no better way to truly grasp the historic and contemporary beauty of Luxor than from the air. In a hot-air balloon the entire city becomes an open-air museum. …maybe you may touch the sun, surely you will see another beautiful sunrise. Contact us and find out more on our offers! Put the grey skies of winter behind you, come to Luxor and experience the most amazing sunrise of your life: the start of another day, the first rays of light hitting the sky – it’s magical! Wishing you all a Happy Valentines full of love & true romance!!! 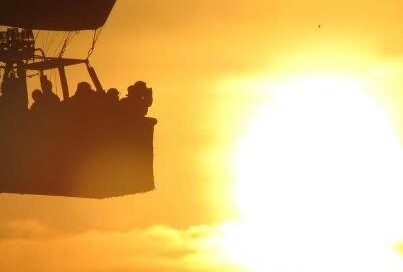 What could be more romantic than an exclusive balloon flight for you and your own very important person? Enjoy the intimacy of drifting through the skies in a private balloon with your special someone, enter the promotional code VALE2 at the time of the booking and claim your 30% discount on private balloon flights. Love is in the air…fly with us & breathe it in. That is always worth celebrating and a very romantic way to treat the person you love is the magic of a hot-air balloon ride. Enter the promotional code VALE1 at the time of the booking and claim your couple package at 100? on traditional flights for the whole Valentines week! Take 25% discount to celebrate our new website launch! We are delighted to announce we’ve launched our new website, we hope you enjoy it and find it easy to navigate! Enter the promotional code LAUNCH3 at the time of the booking and claim your 25% discount on all our flights up until the 28th February. Magic Horizon Balloons is the largest hot-air balloon company in Egypt and one of the largest in the world. Adhering to the international health and safety regualtions, we provide sunrise balloon rides over Luxor, the biggest open-air museum on the planet. A very atmospheric photo of Cameron Balloons built hot-air balloons flying in Egypt – featuring Pilot Ahmed Mahmoud at Magic Horizon with some of his other Cameron Balloons passenger ride hot-air balloons in the background.